Santiago Park Plaza offers its guests truly personalized service and attention. Located in the chic center of Providencia, Santiago Park Plaza provides either a sanctuary for relaxation or a center for access to the city's bustling districts. 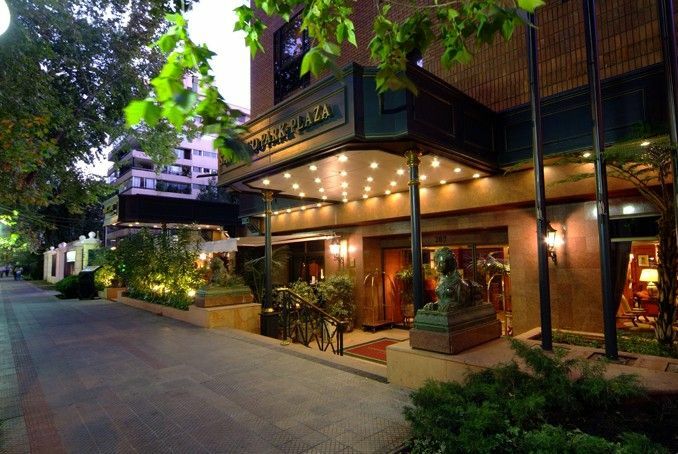 Steps away from the subway, the hotel offers easy access to Santiago's commercial, entertainment, and rich residential areas. The hotel's glass-covered rooftop terrace offers a spectacular view of Santiago. The Park Lane Restaurant features an excellent menu based on international cuisine and traditional Chilean dishes, and its wine list is designed to satisfy the most exacting palates. At the hotel's lobby bar you will find choice drinks, cocktails and imported liqueurs. The comfortable rooms are a perfect combination of European elegance and modern amenities. Guests can experience well-deserved five-star hotel service with style. The standard rooms feature either two twin beds or one king bed, minibar, cable TV, wireless internet connection, safety deposit box, private bathroom, national and international direct-dialing, hair dryer, air-conditioning, alarm clock, and bathroom amenities.